JULY 16: The lesson examples are fully transcribed and uploaded! Enjoy! 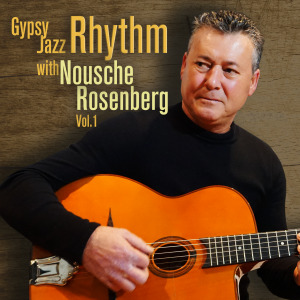 An in-depth study on the Gypsy Jazz Rhythm style of Dutch guitarist Nousche Rosenberg. -HD video of Nousche Rosenberg explaining his approach to Gypsy Jazz rhythm. Nousche Rosenberg has been accompanying his cousin Stochelo Rosenberg since they were children. He is the rhythm guitarist in the legendary Rosenberg Trio, and has performed all over the world with this group. He is regarded as one of the best rhythm players in the Gypsy Jazz genre.